Fire pits are becoming increasingly popular in the garden. They are commonly made of pre cast concrete, metal or stone. Fire pits provide warmth, entertainment and a focal point in outdoor living spaces. 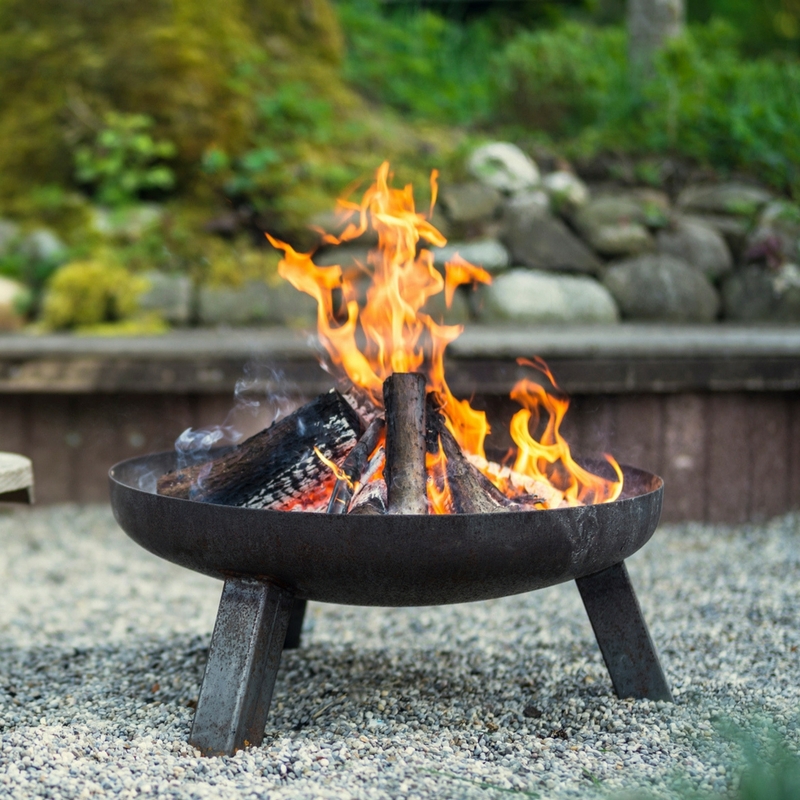 Fire pits are very popular in the US and are increasingly gaining interest in the UK. Chimenea is the Spanish word for Chimney. It’s also a popular freestanding, front loading outdoor fireplace or oven, with a vertical vent. Chemineas provide warmth on cold evenings and can be used as a BBQ. Best logs for a fire pit? Kiln dried or seasoned hardwood is the best wood for a fire pit. Unseasoned or green wood will smoulder when you try and burn it. Kiln dried wood is very dry and so will provide a long clean burn will very low smoke. Soft woods burn quickly and offer less burn energy. The choice will be down to personal preference, but the fire in a chiminea is contained and any smoke goes directly up, this prevents smoke occurring in your patio. Some small chimineas require little logs. Fire pits are open and offer a larger fire and more of a focal point, with 360 viewing. Fire pits can burn regular sized logs, kiln dried logs are recommended for a long, clean, low smoke burn. Kiln dried ash is naturally dry, this is because ash is a dry wood species before the kiln drying process. Kiln dried ash offers a high heat and a clean burn. Why put sand in the bottom of a fire pit? Sand at the bottom of a fire pit insulates the area below the pit to hold the heat and helps to protect the pit against the corrosive nature of the ashes and extreme heat. Put kindling in the centre of the fire pit with a firelighter, put a few logs around the kindling. Light the firelighter and add more logs as needed.